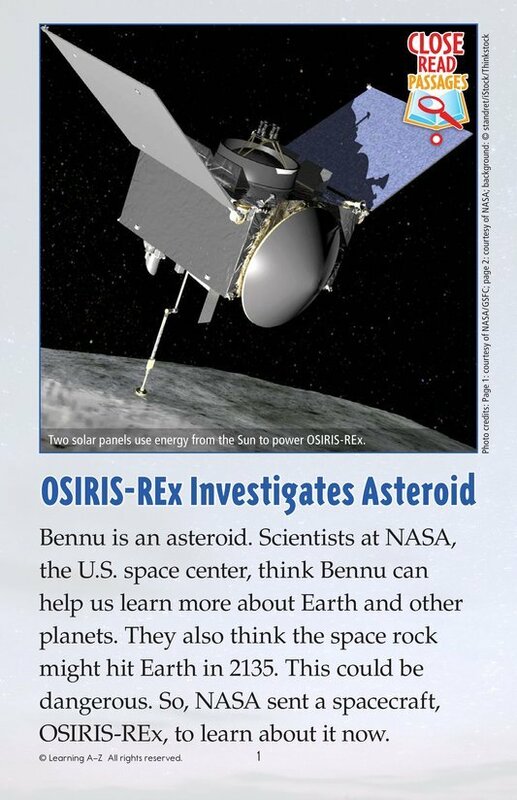 Scientists sent the spacecraft OSIRIS-REx into outer space to learn more about the asteroid Bennu. 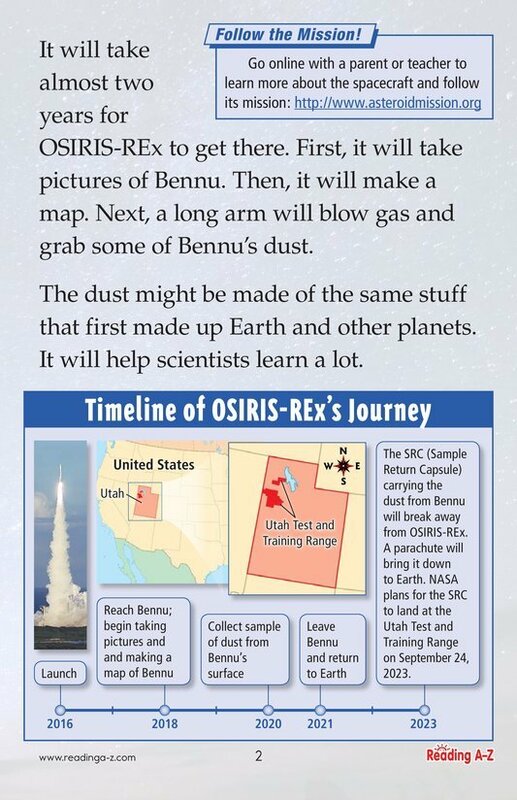 They hope that pictures and maps of this old space rock, as well as dust samples from its surface, will help them learn a lot about asteroids. In addition, since asteroids are made from the same material that was used to make the Sun, the planets, and the oceans, scientists expect to learn more about many things.